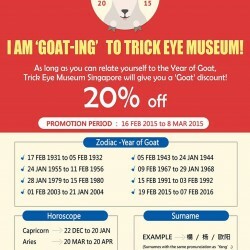 Trick Eye Museum Singapore invites you and your loved ones to celebrate the Lunar New Year at the museum! 20% discount to all who can relate to the year of Goat. Huat Ah! 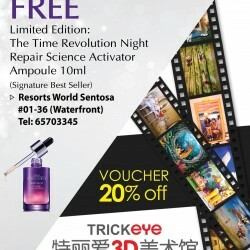 Hi sweeties, together with Trick Eye Museum Singapore , MISSHA Singapore have something special for you. Spend more than $25 in a single receipt at MISSHA and get 20% off your admission tickets to Trick Eye Museum.